Sarah Jacobs/Business InsiderAfter six months of Navy SEAL training, Jocko Willink learned to never quit. The former Navy SEAL commander Jocko Willink completed six months of Navy SEAL training when he was 19 years old. He went on to command SEAL Team 3, Task Unit Bruiser, the most highly decorated US special-operations unit of the Iraq War, for nearly two decades. Willink walked away from training with one important lesson: Don’t quit. Instead, trainees are simply told, “If you don’t like it, quit,”Willink told Business Insider’s Rich Feloni on an episode of the podcast “Success! How I Did It.” After six months of physically and mentally demanding SEAL training, Willink said, he learned one major lesson: Don’t quit. Basic Underwater Demolition/SEAL training is designed to push trainees to their limits. Willink said 80% of people leave the program. It’s no easy task to constantly strain your body and mind in harsh conditions, and it certainly wasn’t easy for Willink, who entered BUD/S training at 19 years old. BUD/S training is broken up into three phases: eight weeks of physical conditioning, eight weeks of diving, and nine weeks of land warfare. The first phase of training is the toughest, with a “Hell Week” at the halfway mark. Two-thirds or more trainees call it quits during phase 1, according to the SEALs’ website. After completing BUD/S, the remaining trainees endure three weeks of basic parachute training. Despite countless hours of conditioning, diving, and land training, Willink did not quit. He said BUD/S was not a life-changing experience for him, the way it is for some people. “It’s, like, ‘Yeah, we’re going to be cold, wet, miserable, and we’re going to keep going. Next question,'” he said. 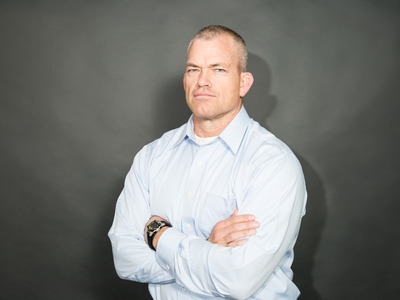 After completing BUD/S training, Willink spent 20 years in the SEALs, and went on to serve as the commander of the most highly decorated unit of the Iraq War, SEAL Team 3 Task Unit Bruiser, before retiring in 2010.